Stenciled concrete is a decorative way to finish of concrete to match the surrounding areas. This is acheived by a product named covercrete (covacrete). 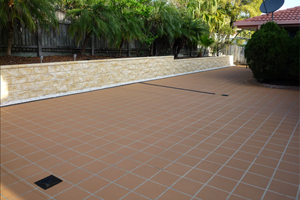 Covercrete is a spray on product that is used to cover and refurbish old and existing concrete products. 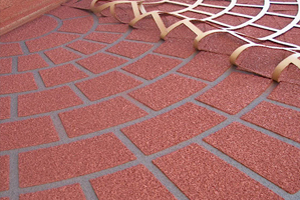 This is 2-3 mm thick and sets at approximately 72 MPA, about three times the strength of tradition concrete. It is a resurfacing product only and will only be as good as the base below it. Patterns and header-courses can also be added if desired. A full range of colours are available. Rosettes and features are also available. 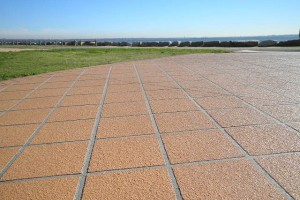 A minimum of two coats of UV sealant are mandatory to prevent colour deterioration. We can use this product on existing old concrete surfaces to give them a new lease of life by grinding back the surface, filling cracks and appling the product to give a stunning result. 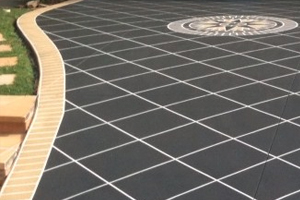 CONTACT US TODAY FOR A QUOTE ON STENCILED CONCRETE!